A menu has to be eye-catching and easy-to-use in order to help your web-site visitors move from one page to another. This is our main navigation motto. 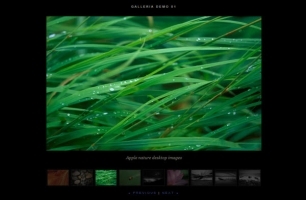 Collection of the most beautiful and all-purpose sliders used on the world-popular websites, such as apple.com or flickr.com. 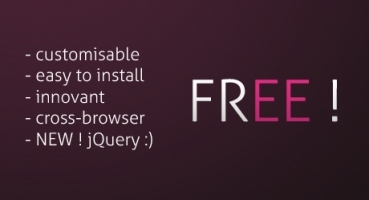 The best jQuery galleries for your convenience and easy script setup. 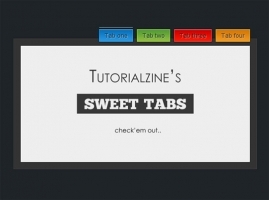 An interesting tab collection for your website which will definitely attract most of your visitors` attention. In this section various interesting and useful accordeons are gathered. Dialogue boxes, pleasantly surprising with their look and performance. These plug-ins enable you to work with ajax forms, as well as change their design. Interactive tooltips will give your website its special zest. The following plug-ins will definitely make your website better, i.e. more convenient and attractive for visitors.